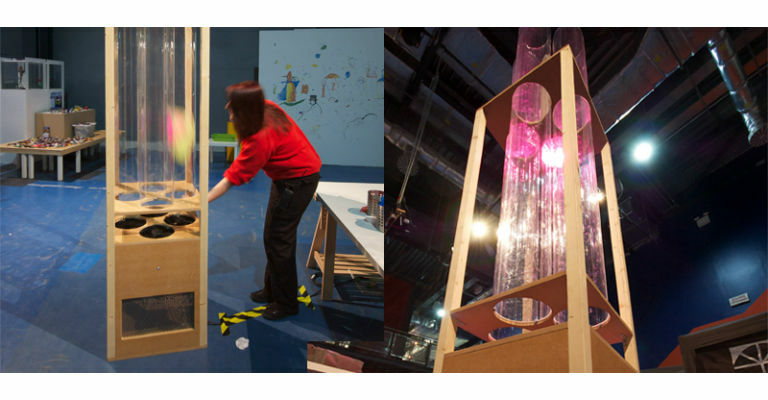 Wind tubes are a playful and inventive way to explore the effect that moving air has on objects, including constructions made from everyday materials. How will the different forces affect the object you make? Will it float around or fly out of the top of the wind tube? You can alter your object to see if it changes the way the forces act on it. This Making Space activity will run throughout the day.